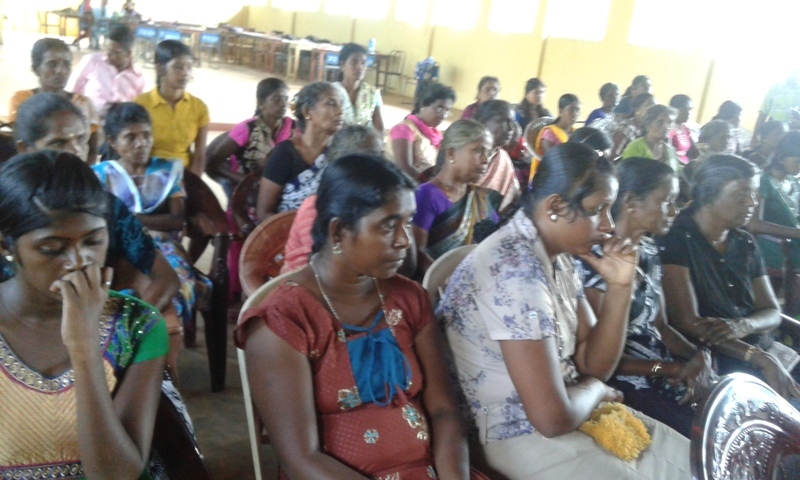 Family Heading women members from several IDP camps in Jaffna gathered to Maradanamadu Agrarian training centre to restructure the Women society which was established and continued since 2013 with the guidance of National Fisheries solidarity Movement. 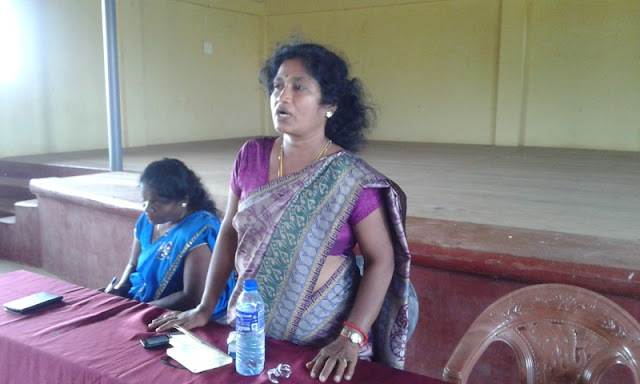 Northern provincial councillor Anandi Sashidara participated as special guest and during her peach, mentioned that whether there is a women section in Northern Provincial council it is not active and also she appreciate the activities of NAFSO conducting with northern area even under the pressure. 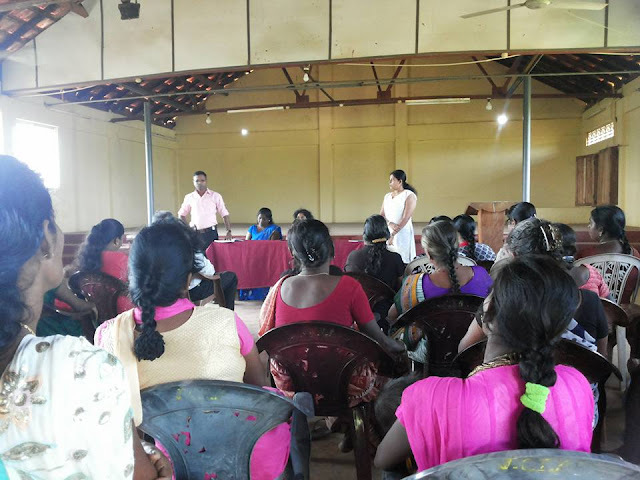 Women Participants asked some questions from the Councillor, specially on lack of housing for the families came from wanni and she promised to talk those burning issues in council to get long term solutions.